Research has shown that social media has become one of the most important trends in modern internet marketing. No matter what size your business is, you simply cannot pass by the opportunities given when social media is at your disposal. Let’s look at some of the facts on why social media is now a huge influencing factor in helping your business experience the growth you had always dreamt of. First of all, we will begin with one small statistic that speaks volumes about the growing importance of social media. 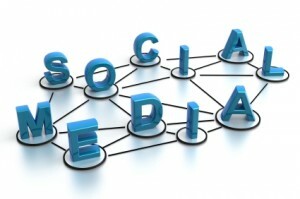 As of 2012, there are approximately 58 million users that use social networking sites every day. That is a huge growth from 2008 when there were approximately 12 million. Does that mean that social media won’t continue to grow? Absolutely not – user statistics show continuous growth over the years, which means this avenue of communication and interaction is becoming more and more popular as each day passes. Simply put, social media has definitely become a trend. The sharing of information on social networks is extremely influential to those who use them. In 2012, statistics show that 47% of users say that Facebook has a large impact on their buying behavior. That is a huge increase compared to 24% in 2011. Another wonderful thing about social media is the fact that you can share just about as many links as you want. This increases your exposure. Before social media erupted, sharing too many links was not socially acceptable. This was also applicable on many of the forums and communities throughout the internet. Not on social media sites. Sharing links is something that more and more people are doing every day. Social media is clearly a valuable method of sharing information with others. Many of the social networks are now set up where you can post information on one site and it be shared on the other. This is simply irresistible to those who participate in various social networks and have some great content or news they would like to share with everyone who subscribes to their page or is a follower. As the importance of social media has grown and continues to show steady growth, these networks are becoming instrumental in their influence of search results. Any marketing campaign for a large or small business should include social media marketing as one of their primary resources to gain exposure. As these networks become more influential, more marketers are grasping the concept and creating their pages and profiles which puts them ahead of the marketing game. If you haven’t tried using social media as a marketing tool, it’s not too late. It’s time for you to get busy and reap the rewards by gaining valuable exposure for your business!